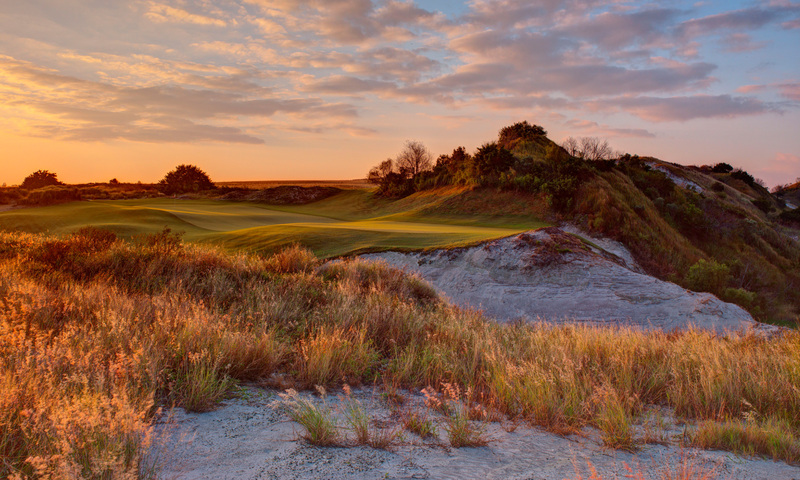 Hewn from reclaimed phosphate mining land in Central Florida’s Polk County, Streamsong Resort is a golfer’s dream come true. Consider this remarkable risk/reward scenario. 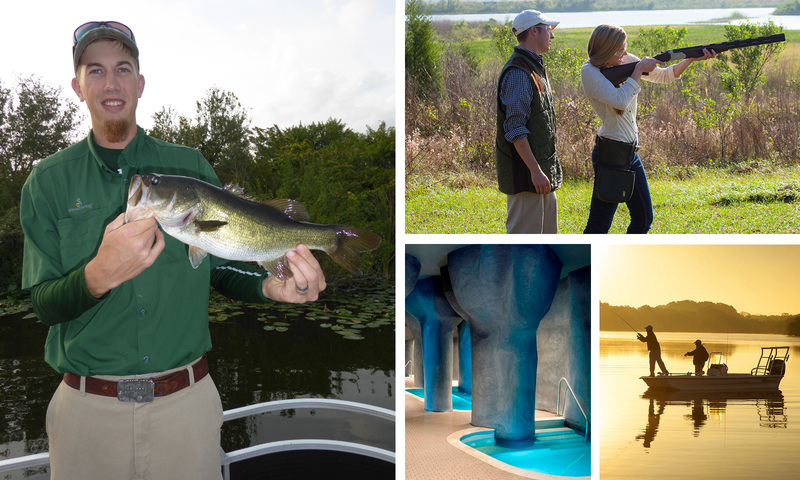 Back in 2007, Rich Mack, a golf fanatic and mining executive with The Mosaic Company, has the brainwave of building two courses in the middle-of-nowhere Florida. Keep in mind that the state is already glutted with courses, the golf industry is in a big slump and the site is a 16,000-acre former phosphate mine. The odds don’t sound promising. 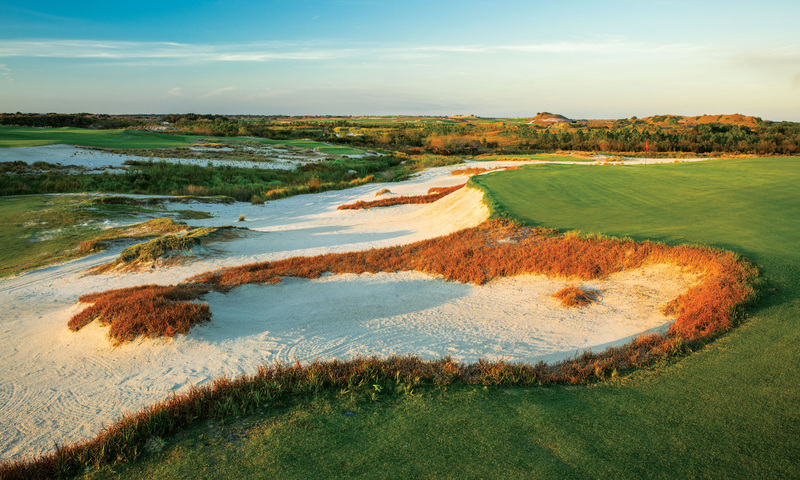 Lo and behold, the Coore & Crenshaw Streamsong Red and Doak’s Streamsong Blue both open in January 2013 to rave reviews. 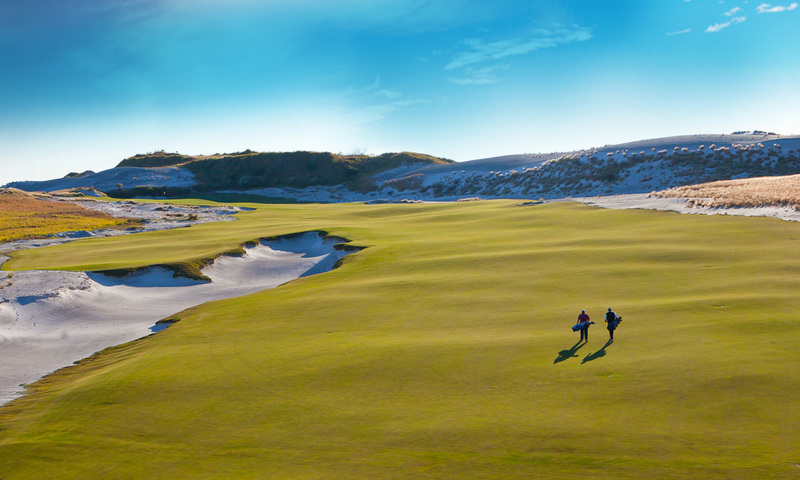 In 2015 Golf Magazine ranks them in the “Top 100 Courses in the U.S.” Golf Digest names Florida’s Streamsong “Best Public Golf Courses in Florida,” also in 2015. 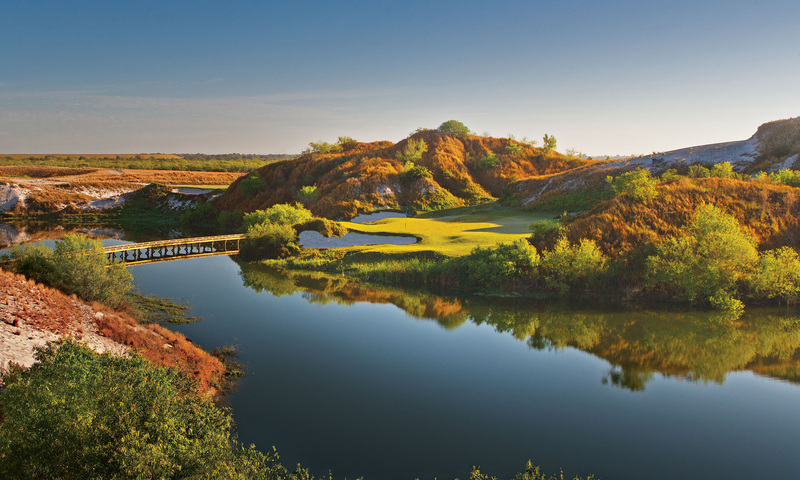 Hewn from reclaimed phosphate mining land in Central Florida’s Polk County (a 60-minute drive east of Tampa and 90 minutes southwest of Orlando), the topography of Streamsong most definitely does not conjure up images of flat, swampy Florida. Instead, you’ll encounter steep-banked lakes, heaving elevation changes and craggy “dunes” amidst windswept prairie grasses. Millions of years ago the land that is now Streamsong was covered by oceans and giant sea creatures. Thick forests and grassy plains provided refuge for mastodons, rhinos, and huge crocodiles. Warm waters were filled with prehistoric marine life including the giant shark whose skeleton is on display in the hotel lobby. Glacial activity caused the oceans to rise and fall over a million years. My caddie Greg told me that he has picked up hundreds of sharks’ teeth along the paths. The Streamsong Red and Blue courses are kind of like cousins in that they bear a family resemblance: Red is tighter off the tee and easier on the greens; Blue is more forgiving off the tee but with tougher more undulating greens. Both are links-style with firm, fast fairways, and greens thanks to the sand base. The Clubhouse’s picture-perfect location sits gently in the saddle of the dunes with an outdoor terrace overlooking a lake and the dramatic golf course terrain. 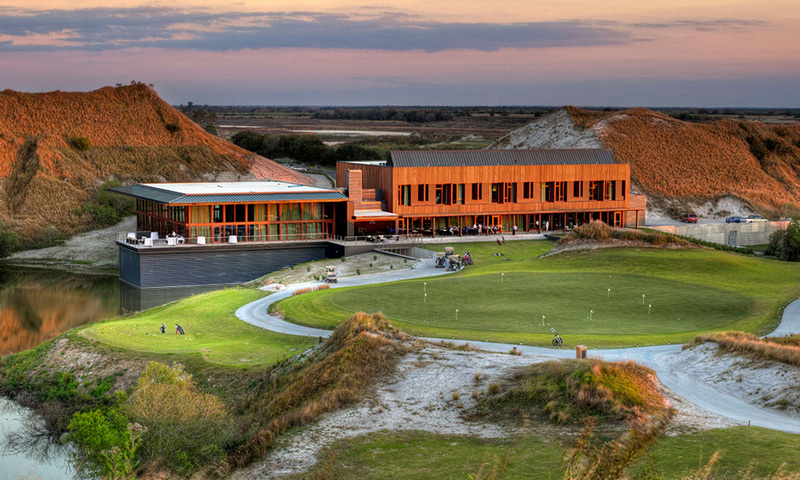 The Streamsong Clubhouse also features the elegant steak and seafood-themed Restaurant Fifty-Nine, which is named after the holy grail of golf—a score that breaks 60 and has only been accomplished four times in the history of the PGA Tour. There’s nothing superfluous about the 216-room hotel. 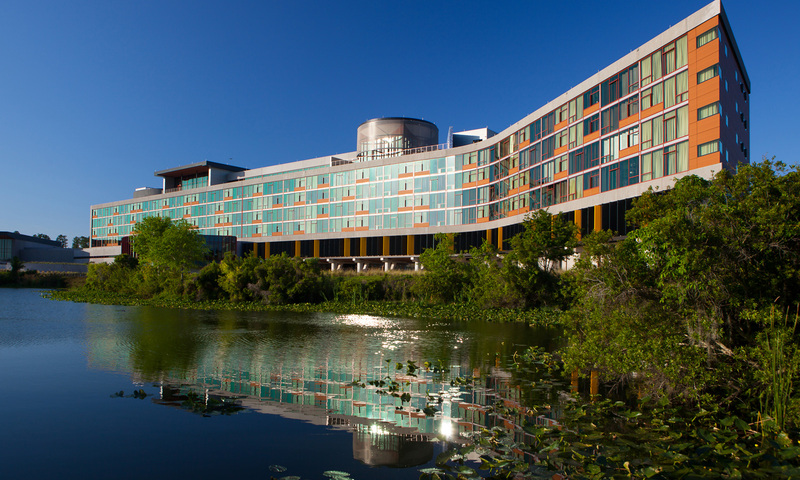 Some might opine that the exterior looks more like a hospital than a luxury resort. 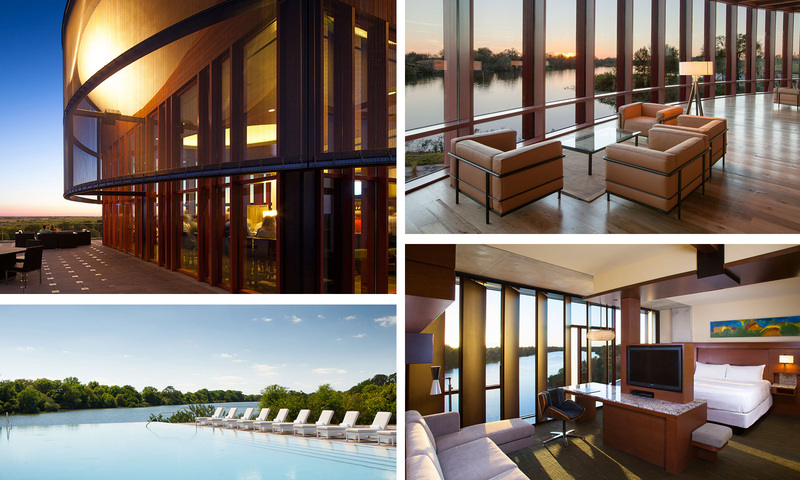 But step inside and the floor-to-ceiling windows fill the lobby with light and a view of a sparkling lake. Most rooms have unobstructed views of the water and are outfitted with quality everything—from fine bed linens to handsome furniture and plush robes. Dollies and fluff are not part of the Streamsong vision. 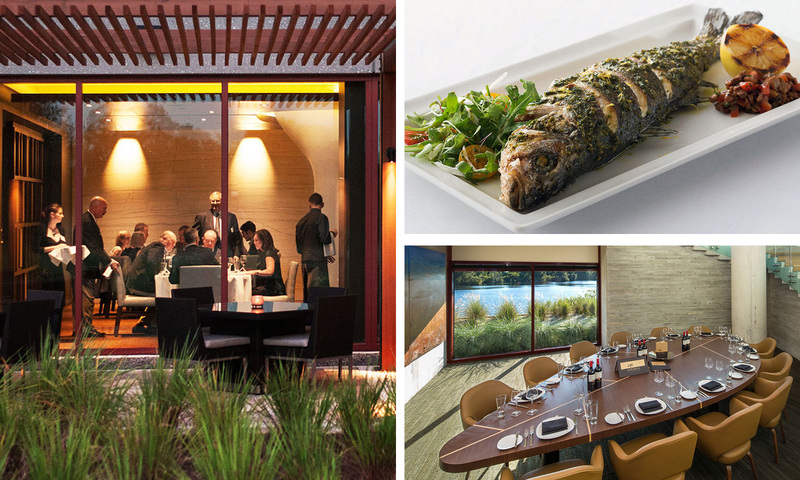 There is nothing streamlined about the dining options at Streamsong. The main resort has two restaurants and a poolside bar called Hemy’s. P205 (that’s chemistry speak for phosphate) offers plenty of southern specialties. If calories aren’t an issue, order the buttermilk fried chicken with mashed spuds and Tabasco gravy. Sotto Terra serves fine Northern Italian fare. Restaurant Fifty-Nine in the Clubhouse for Red and Blue specializes in prime aged beef and seafood. The Bone Valley Tavern at the Black course serves gastro pub dishes, such as wings, nachos and burgers. The AcquePietra Spa is a European-style grotto sanctuary with six pool experiences and a menu of relaxing and rejuvenating treatments, including a hair and nail salon.